If you enjoy the clack-ity-rack-ity sound of a good diesel, then look no more because the Cummins 12 Valve inline-6 is the heavy fuel burning engine that you want in your pickup. The 5.9 are legendary for reliability, ruggedness, and surviving all kinds of abuse because they were an industrial/tractor engine that somehow ended up in the engine bay of a light truck, which is a far less needy application. 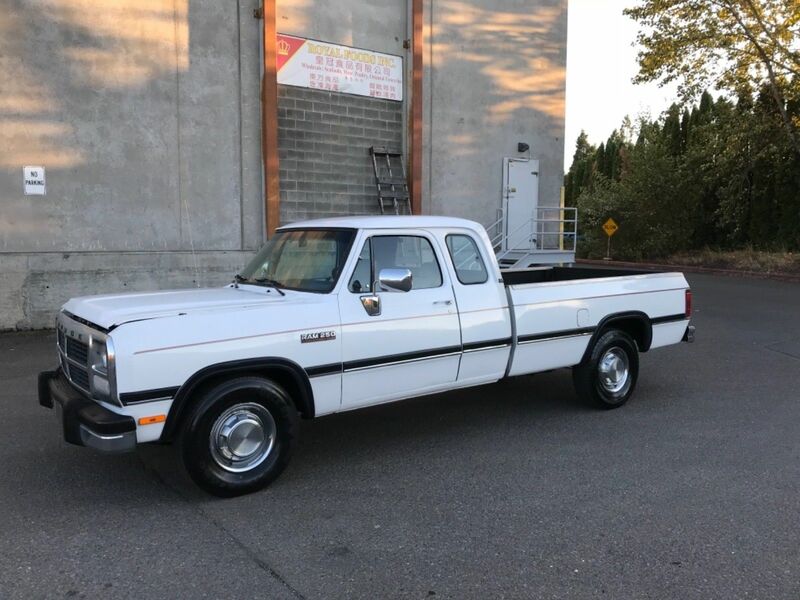 Find this 1993 Dodge Ram 2500 Extended Cab here on eBay bidding for $2,247 with 4 days to go, located in Clackamas, OR. Dodge HD Truck You Can Buy!! 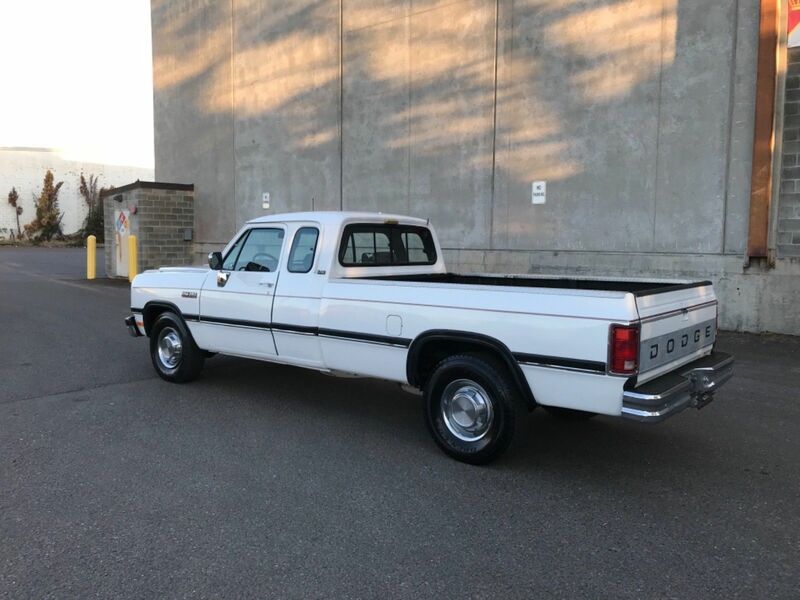 HIGHEST BIDDER WILL WIN THIS BEAUTIFUL DODGE 5.9LITER CUMMINGS 4WD PICKUP ! ..EXTREMELY RARE AND HARD TO FIND ONE IN THIS CONDITION..
MOSTLY STOCK - AND - FACTORY!! RUNS, DRIVES, STOPS, TURNS AND LOOKS GREAT! My mom has one of these but with the 5 speed getrag transmission. My uncle bought it to drive to point barrow Alaska , and then to drive in PCA rallies. Mechanically it's unlikable but the body is a rusty piece of poo. Anyone ever do a body swap on one of these? Maybe a stepvan? "Unlikable" That's a great auto-correct-induced typo, I assume instead of "unkillable"
I looked at the pic and thought "dang, that's a nice dodge from the easy 80s..."
They got their money's worth out of that design, for sure. Long wheelbase and 2wd mean it's not an OPEC darling on the highway?